Several paralympic athletes may be intentionally damaging their own bodies -- sitting on pins, cracking toes, twisting scrotums -- to kick start their nervous systems in a banned practice known as "boosting." Several paralympic athletes may be intentionally damaging their own bodies – sitting on pins, cracking toes, twisting scrotums – to kick start their nervous systems in a banned practice known as "boosting." BBC News Magazine reports that up to a third of Paralympic athletes with spinal injuries may be engaging in these harmful behaviours, which are meant to enhance performance by increasing heart rates and blood pressure. Autonomic Dysreflexia may kick start the nervous system, but those who induce the dangerous condition are putting themselves at increased risk of having a stroke, bleeding in their brains or suffering a heart attack, which can ultimately lead to death. AD causes an imbalance between the sympathetic system, which rapidly responds to stimuli and activates the fight or flight response, and the parasympathetic system, which controls the restoration of the body's reserves and elimination of waste. 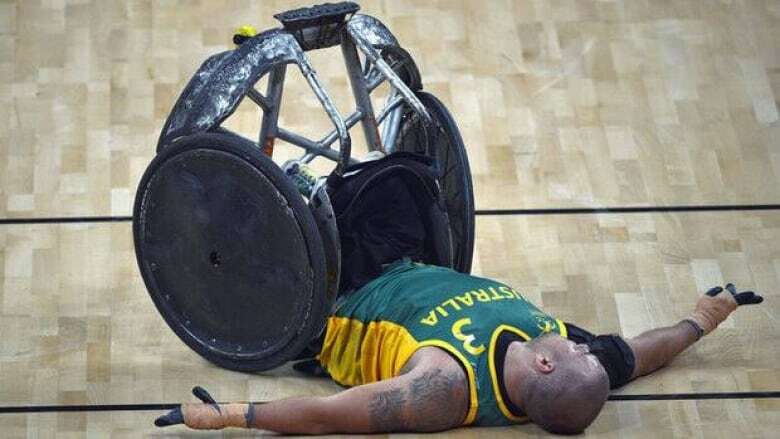 Because spinal cord injuries are typically accompanied by low arterial blood pressure, some athletes harm themselves to trigger a dangerous but often performance-boosting condition called Autonomic Dysreflexia (AD). Boosting jump-starts responses that are automatic in able-bodied athletes, whose blood pressure and heart rate increases during physical exertion and delivers oxygen to their muscles. The International Paralympics Committee (IPC) does not allow boosting, and physicians warn against its sometimes life-threatening risks. But some athletes — including Canadian Brad Zdanivsky — admit to experimenting with the practice. "There have been times where I would specifically give my leg or my toe a couple of really good electric shocks" the quadriplegic rock climber told the BBC. "That would make my blood pressure jump up and I could do more weights and cycle harder." Zdanivsky, whose spine was crushed in a car accident, further admitted to shocking his own testicles — adding that the results were "hard to deny". Now, the Vancouverite is more likely to focus on the risks, and worries that it will take a fatality during the Games to highlight the issue. The IPC is aware of the issue, and has been working to gauge its prevalence. The committee banned boosting in 1994 and now disqualifies athletes from "the particular competition in question" when they are found to have induced AD. In a survey of 60 Beijing Paralympics athletes, the IPC found that 17 per cent had tried boosting — and the real number may be higher than that self-reported percentage. "People want to feel better," Dr Andrei Krassioukov told the BBC. "But a second thing driving it is the desire to win." Krassioukov led a major study of athletes during the 2010 Vancouver Paralympic Games, and will be spearheading a new IPC-commissioned study in London that will investigate the prevalence of inducing AD. Currently, the IPC does not take blood pressure and heart rate into account when classifying its competitors. "There is still a disadvantage between paralympians who have normal blood pressure and those who don't and this puts a significant number of athletes at a disadvantage," said the doctor, who is a principal investigator at the UBC-supported ICORD spinal injury centre. "As a physician I totally understand why these Olympians are doing this, but as a scientist I am horrified with these events."